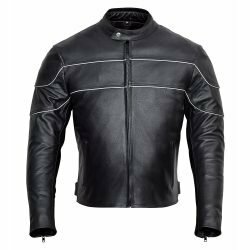 WICKED STOCK motorcycle jackets are designed and manufactured to keep you protected, comfortable and stylish, all at the same time. 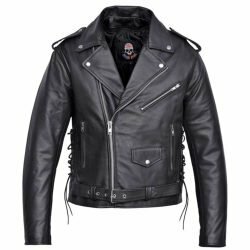 We manufacture Leather Motorcycle Jackets, Textile Motorcycle Jackets and Mesh Motorcycle Jackets. Yes, and we got all the riding styles taken care of; Adventure, cruiser, touring, sports and café racer. 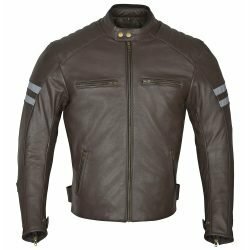 All our Leather Motorcycle Jackets are made from 1.1-1.2mm thick full grain cow leather that is uniquely processed and tanned for us. This thickness provides the abrasion resistance leather is known for. Full grain leather is characterized by a smooth, supple hand. It will look more beautiful with use, as a patina is developed. 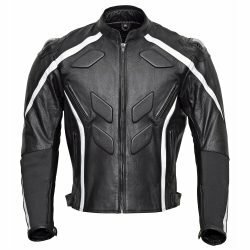 Textile Motorcycle Jackets from WICKED STOCK are made of highly abrasion-resistant materials like Cordura Polyesters and Nylons. Our Textile motorcycle Jackets are trendsetters, helping protect the rider in nearly every weather condition and boast those cool biker looks. Many of our Textile Motorcycle jackets have removable thermal and waterproof layers to transition from one riding season to another. 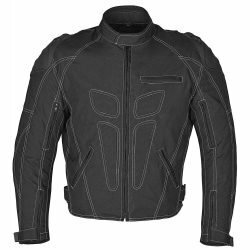 WICKED STOCK Mesh Motorcycle Jackets are designed specifically for warmer rides and come with removable thermal liners and waterproof liners to be used when needed. All waterproof liners are made from breathable materials. Note that all the liners on all our jackets are removable allowing you the flexibility you need depending on your weather. 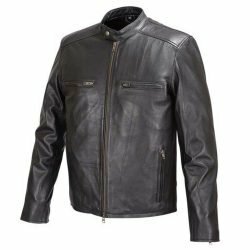 We offer 4 Season Motorcycle Jackets for you to enjoy the riding year-round. Some of the essential features are multiple liners including thermal and breathable waterproof liner that are all removable. 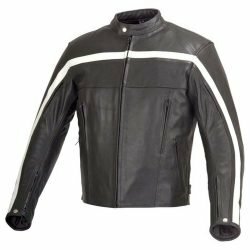 Extensive venting on 4 season Motorcycle Jackets combined with these removable liners allows you to enjoy your ride equally in dead of winters and in the wettest and the warmest days. 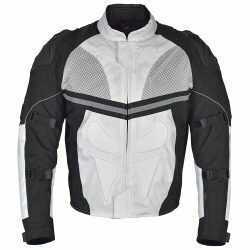 All our motorcycle jackets have pre-installed CE certified armor for back, elbows and shoulders. We believe you don’t need to spend extra dollars to buy something as vital as protective armor. 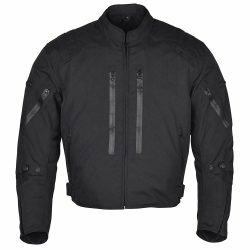 All our motorcycle jackets have a pants integration zipper for connection with motorcycle pants. All our Hi-Viz Jackets have extensive reflective paneling for night visibility. 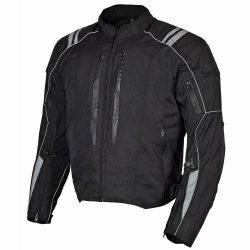 Selecting a jacket that suits your riding style and needs can be a daunting task. Don’t worry we are just a call away at 410-585-5467.